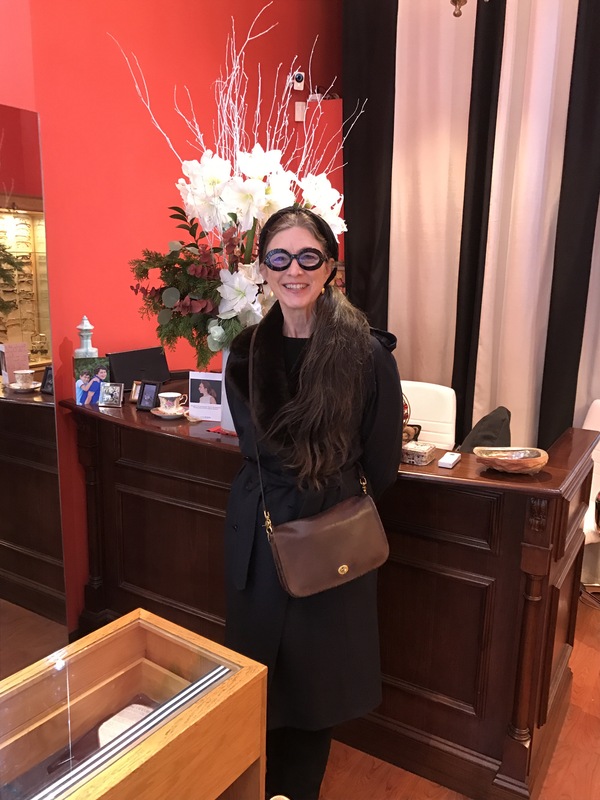 Carol stopped in to show off her beautiful Jackie O spectacles. The smile was infectious when she heard what she loves to hear? The light tint on these frames look Fabulous as do her eyes thru the high definition lenses.